Located in the Aravalli range, this is a relatively newly developed hill station. 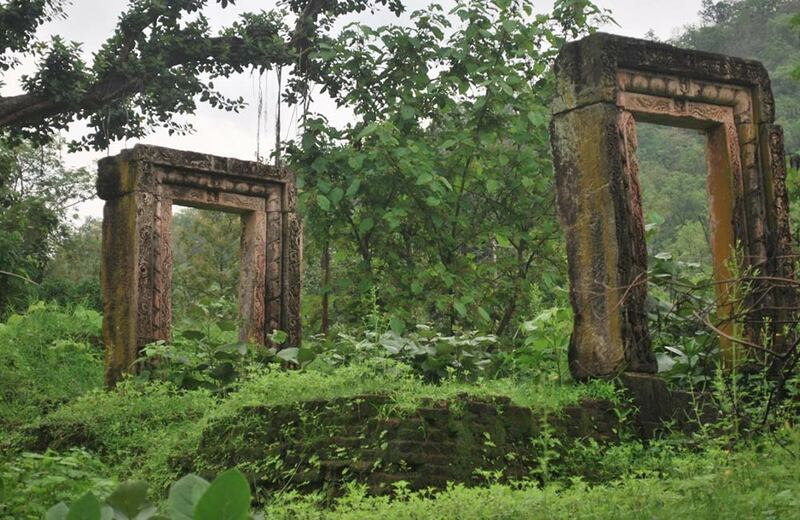 With small hillocks covered in a vast, lush forest spanning over 400 square km, Polo forest is, in fact, quite an old settlement with a lot of archaeological remains from as far as the 10th century. The place was mostly unknown till the government opened a highway leading up to here about 5 years ago. Since then, the Government of Gujarat also hosts the annual Polo Utsav here, much similar in nature to the Rann of Kutch festival. Owing to its abundant greenery and tranquillity, polo forest is indeed the perfect location for a one day picnic near Ahmedabad. 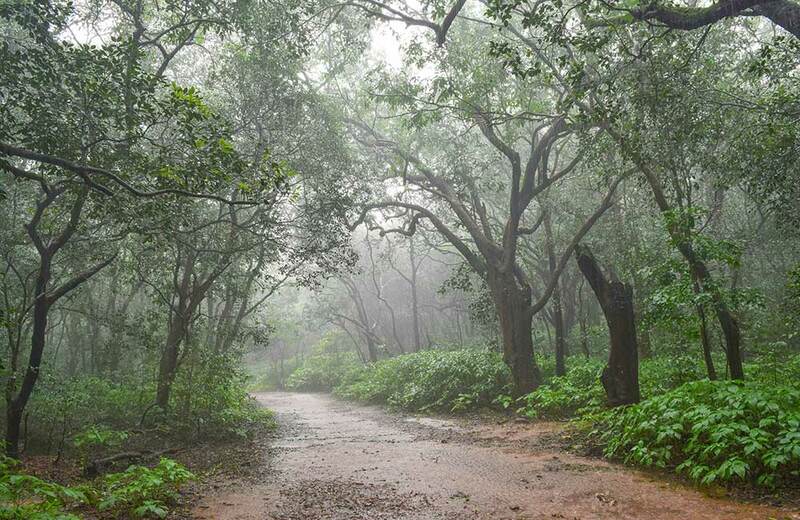 Best time to visit Polo Forest: Considering it is hardly 3 hours’ drive from Ahmedabad, you can visit this place almost any time of the year. However, it is best visited from August to March. Even during other months, you can experience a temperature drop as soon as you enter the forest. The forested hills of Mount Abu are the perfect getaway at a 5 hours’ drive from Ahmedabad. 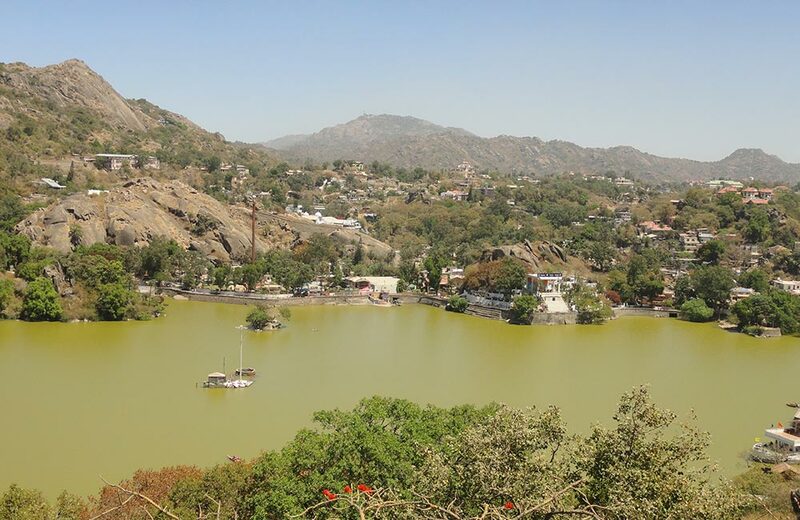 The only hill station in Rajasthan, Mount Abu is located on the highest peaks of the Aravalli Range. The spiralling roads leading up to Mount Abu would definitely fancy the rider within you. With cool weather round the year, this rocky plateau is often called an “oasis in the desert”. It tops the list of places to visit near Ahmedabad owing to its scenic beauty. At an average elevation of 2500 feet, Wilson Hills is one of the rarest hill stations in the world that provide a view of the sea. 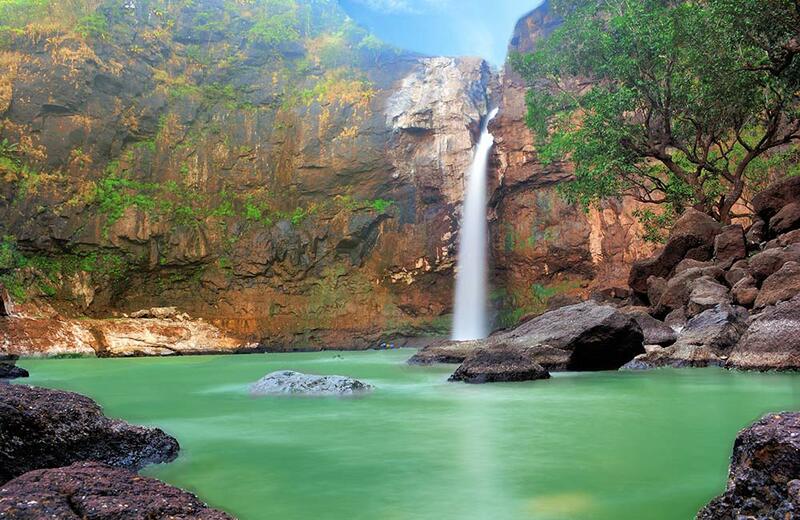 This spectacular scene along with some breath-taking waterfalls make it a widely loved hill station near Ahmedabad. This is a popular place to visit during summers as one can enjoy cool breeze here with less humidity as compared to other places in the region. 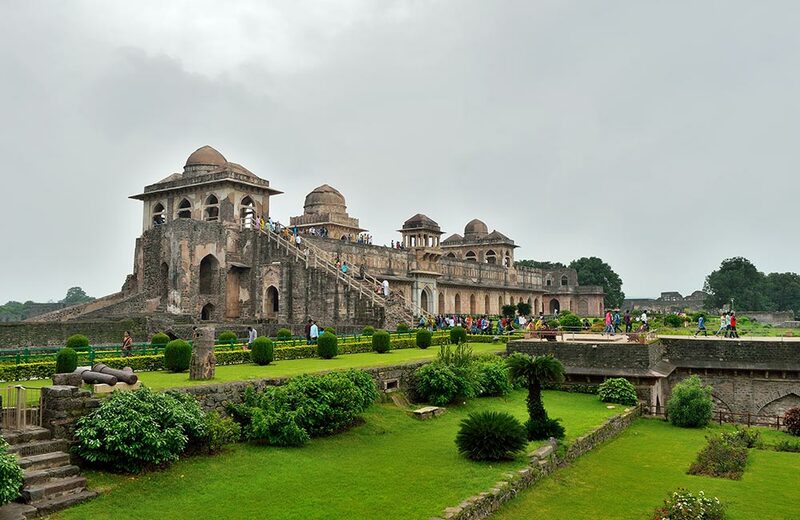 Mandu is a fortress town located on a rocky outcrop in Dhar district of Madhya Pradesh. Well-known for its medieval architecture, the place displays miraculous construction from as early as 10th and 11th centuries. In those years, it used to be an important military outpost, a fact which is visible in the 37-km long battlemented wall with 12 gateways. Along with providing a respite from the city life, this place also throws important insights on our rich heritage and history. 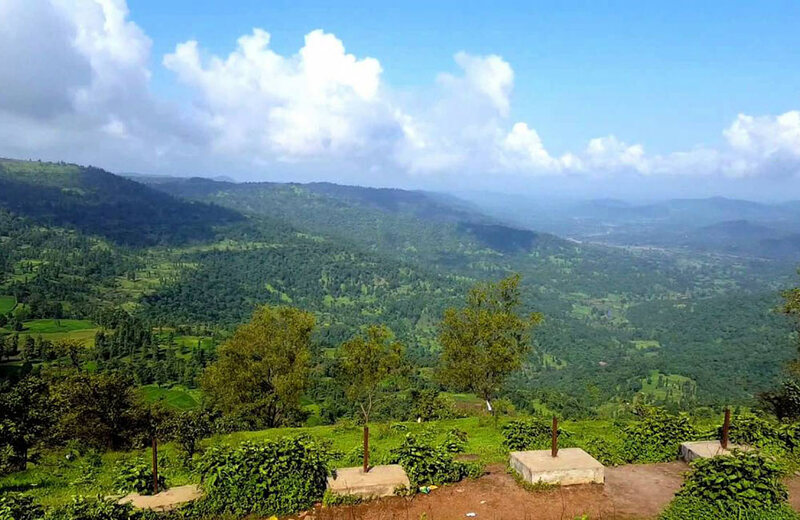 A hill station located in the Satpura Range, Toranmal attracts hordes of tourists and pilgrims from Gujarat, Maharashtra as well as Madhya Pradesh. The Gorakhnath Temple here is flocked by thousands of devotees during the Mahashivratri festival. Toranmal is surrounded by beautiful lakes, waterfalls and forests that add to the beauty of the plateau that is shaped like a saucer. 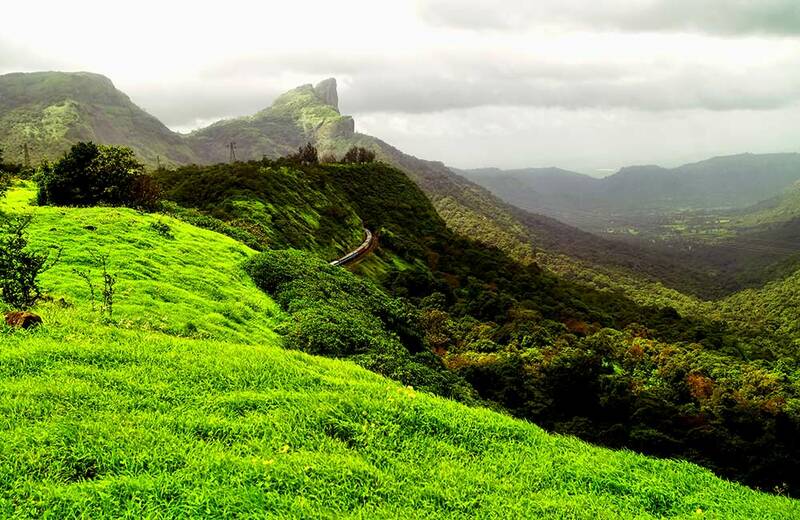 A popular tourist destination during monsoon, Saputara is a hill station in the Western Ghats. Its scenic magnificence can be noticed from its picturesque gardens, hilltops and Saputara Lake. Those, for whom just wandering from place to place, sightseeing and relaxing in cool climes isn’t enough, there are several adventure activities to try here. So, you see, Saputara is the perfect place for a vacation away from the humdrum of the urban areas. A hill station in the Dang region near Saputara, Don is situated on a plateau in the Western Ghats. With pleasant temperature round the year, it has been a highly visited place since the construction of a direct road. The hill station has rich tribal heritage, culture and bio-diversity that make it a must visit. 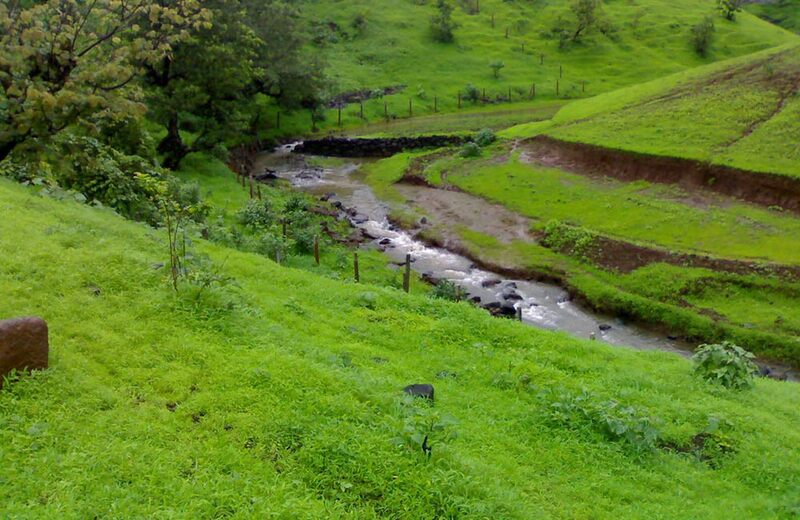 One of the tribal regions of Maharashtra, Jawhar is famous for its waterfalls, dams, and rich cultural heritage. Warli paintings are a popular peculiarity of this place, so whenever you come here, make sure you buy one. The mid-20th century Jai Vilas Palace is the most popular tourist spot in Jawhar. Given its unique location and architecture, which fuses Western and Indian aesthetic elements, this palace has been featured in multiple movies and shows. A lesser-known station, Suryamal is located at an altitude of 1800 feet in the Thane district. Surrounded by lush, green mountains, the place is a tribal village with breath-taking views from hilltops. The stunning Suryamal Peak is regarded as a paradise for trekkers. Far away from the modern advancements of city life, this is the perfect place for a respite from the hustle bustle. Matheran, being declared as an eco-sensitive region, is the only automobile-free hill station in Asia. In its forests, you can find animals like the leopard, fox, mongoose and barking deer. The semi-evergreen forests here are very dense as the region experiences heavy rainfall and experiences strong winds. If you drive to this place, you will have to park your vehicle outside and go either by foot or hire a horse. After its mention in the movie Ghulam, Khandala became famous all across India. 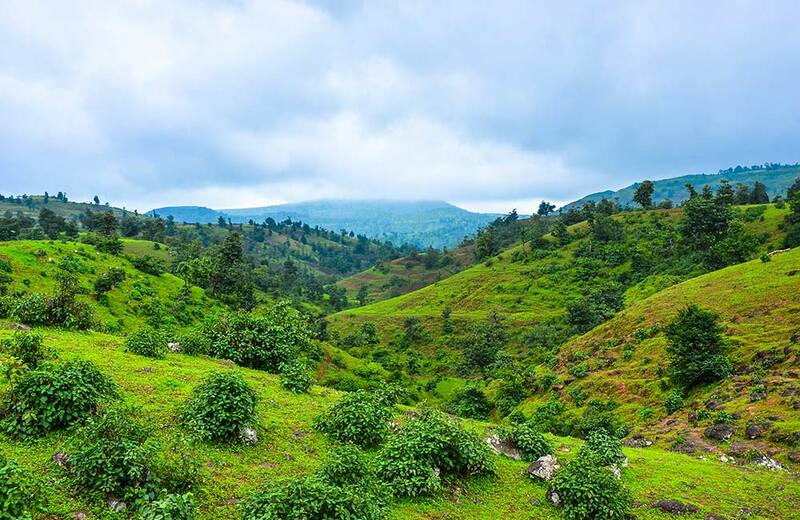 Located in the Western Ghats, this hill station can be easily reached via the Mumbai-Pune Expressway. So, even f you are staying at hotels in Mumbai or Pune, you have direct connectivity to it. Due to its proximity from these two major cities, Khandala attracts a lot of tourists, especially during the rainy season. 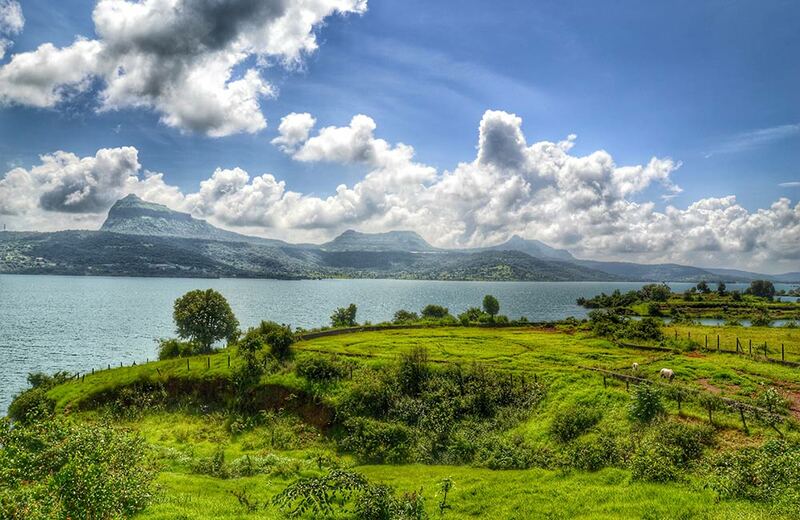 As it is at a short distance of 3 km from Lonavala, you can club both these hill stations in a single trip. Whether visiting it alone or together, you’re sure to have a great time. 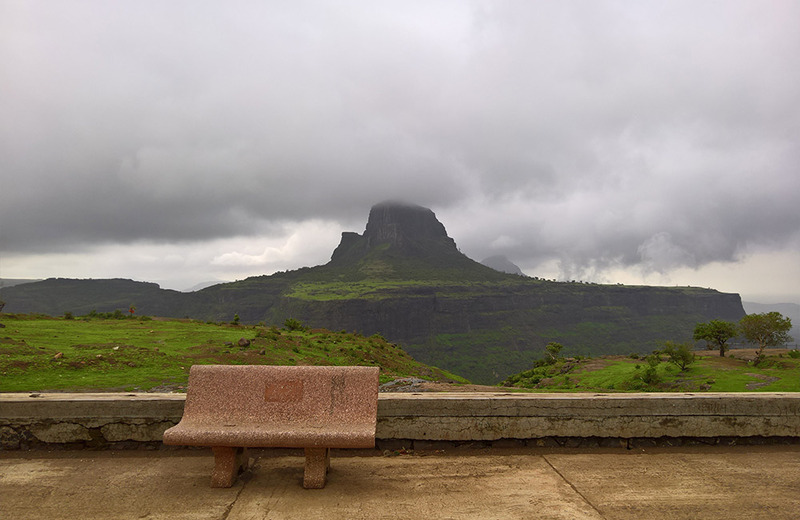 Famous for its chikkis, Lonavala is another celebrated tourist spot between Pune and Mumbai. Lonavala & Khandala are regarded as twin hill stations in the Western Ghats that border the Deccan Plateau and Western Coast. A combined trip to these two hill stations is definitely a great pick for some relaxing time away from the city life. These hill stations act as the perfect gateway to pleasant weather conditions for those who are finding it difficult to negotiate the summer heat of Ahmedabad. Talking of hill stations, wherever there are hills, there are waterfalls. 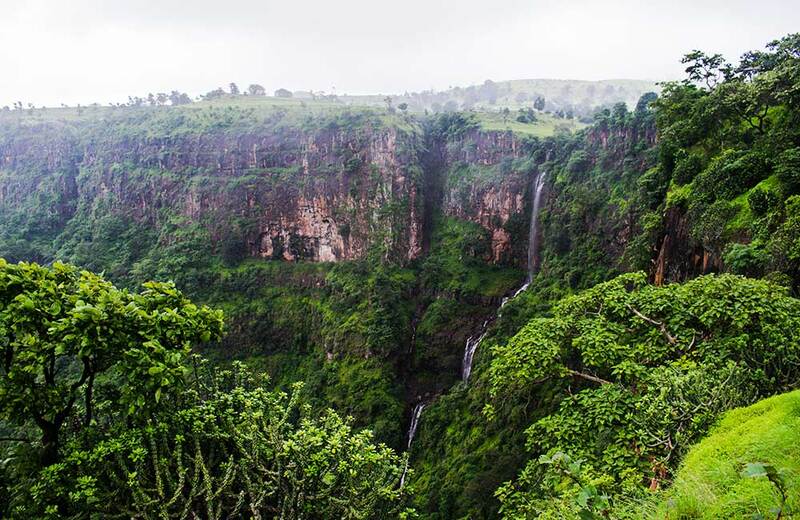 As several of these places are near Mumbai, you might be interested in knowing about the most popular waterfalls near Mumbai, where you can even try adventure activities like waterfall rappelling. On that note, also make sure to check out our curated list for top hill stations near Mumbai.